Falafelkid.com: Nintendo of Europe lying about forum closure? Nintendo of Europe has just released a statement regarding the closure of their forums. This comes only days after Nintendo of America closed the NSider forums for good. In the statement, Nintendo of Europe now rationalizes their decision, rather than citing security problems. When the forums launched we felt they were an essential service for our many loyal site visitors, and the response to them suggested you felt the same way. Since then, however, a number of other online Nintendo communities have surfaced. Dedicated solely to providing a place for Nintendo fans to meet and chat together, these forums are looked after by people who are able to focus all their resources in one area. We hope you will enjoy all the exciting new features on the horizon. I find the whole story very odd indeed. Nintendo had no good reason to ditch their online community in the US and Europe. The maintenance of such forums is neither difficult nor costly, while providing the company with plenty of benefits. In the latter territory, the security problems originally given as a reason seem to have been a pretext. The chances of technical issues which necessitated the closure of the site coinciding with a general decision to abandon the forums are practically zero. It appears to me that they are lying in order to conceal their real motivation behind this move. So, in line with some comments on this blog, I can only presume that Nintendo is preparing some kind of replacement community in the form of a Wii channel. This would tie in with the last secret Nintendo has been touting for at least a year. Oh snap... this could be an AWESOME community system they've got going for as a surprise... I feel all giddy just thinking about it! Much more exciting theory than those outlandish 3D claims! Here is another great game announcement: Tecmo has commissioned Grasshopper (Suda51, ´Killer7´, ´No More Heroes´) to produce the next ´Fatal Frame´ for Wii, 1UP reports (thanks to flipping heck). In Europe, the game series is called ´Project Zero´. That would make sense but I bet it is cheaper for Nintendo to dump the forums less hits equals less to pay for the sites. On the other hand, if they implemented advertising that would balance out the deal. But going on your idea Fal, the Wii Message board gets an extension to contain forums that allow you to tie your Mii character that you design which represents you around the world with stats about games played and etc. Okay, good thinking. Allow me to develop your idea further: It could be a 3D community. PlayStation3´s ´Home´ with Miis. Maybe ´Animal Crossing Wii´ will be just that, which would explain why we have seen zilch of the game, although it was announced ages ago. In addition, it is interesting that Nintendo of Japan, Canada, and Australia does not have a forum or message board. 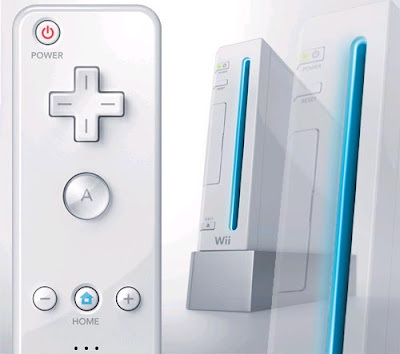 Will Nintendo integrate a forum to the Wii site only? Will they have voice chat features? Will the DS information be tied into their forums? Will there be forums at all by Nintendo? Is Nintendo happy to have other people are doing a forum? I think the best bet is for Nintendo to work with the NSider 2 people and work out some arrangement or something. If this is their last "big" secret, then I'm decidedly unimpressed by it, unless it is truly grand in scope. Umm they better have some keyboard support cause there a lot of people who couldnt be bothered typing with a Wiimote, I am one. Not that I would waste time in there anyway but I am sure theres many others the same. Why send a Wii msg when you can send an email or IM instead. nintendo would never do such a thing. they don't want us communicating in game or exchanging friend codes online, but yet you really think they'll allow open conversation between wii consoles in a forum?! Remember -- the Wii already supports USB keyboards for typing messages. Nintendo not wanting us communicating in game is a gross overstatement and you know it. You do remember the various patents Nintendo holds that would allow voice chat while censoring swear words, as well as text-to-speech conversion on that basis? I havent played Halo 3 or Bioshock but Metroid is very repetitive. An 8 would be more suited, it doesnt deserve a 7. But going onguild wars 2 key your idea Fal, the Wii Message board gets an extension to contain forums that allow you to tie your Mii character that you design which represents you around the Diablo 3 goldworld with stats about games played and etc.